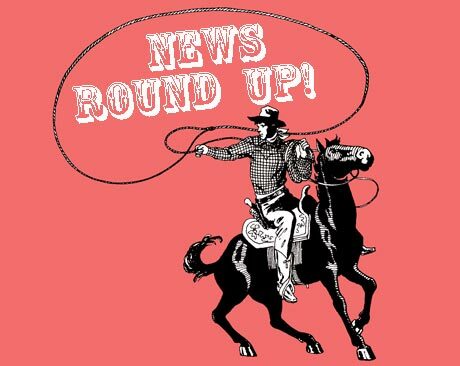 The Texas Progressive Alliance would like to thank everyone for reading all of the weekly blog roundups this year. This is the last roundup of 2009, and we are all looking forward to 2010. CouldBeTrue of South Texas Chisme wants everyone to be afraid of drug cartels buying our politicians. We’ve all seen what money and power did to health care reform. Imagine all that drug money buying power here. It’s time to legalize drugs and take away the profit. You can’t make this stuff up at Bay Area Houston. GOP “Bubba” white supremacist wanted for murder. Barnett Shale Communities can breathe easier after a VICTORY last week when TCEQ issued a new emission policy following the release of Texas OGAP’s Study: Shale Gas Threatens Human Health. Read the study and view documents TCEQ will use to record odor complaints and take necessary enforcement action. WhosPlayin picked up on the TCEQ policy change, and also weighed in on strange comments by a Flower Mound Councilman explaining his vote not to impose an oil and gas moratorium. Speaking of councilmen, Lewisville has a teabagger councilman who wants to turn down a $913,000 stimulus grant from the federal government. The Texas Cloverleaf looks at the potential for a contested party chair race in Dallas County. And, it is among the Democrats. Xanthippas at Three Wise Men, on Robert George, the conservative Christian “big thinker” who dresses up old prejudices in new rationales. Justin at Asian American Action Fund Blog is terribly excited that Gordon Quan is running for Harris County Judge. Off the Kuff writes about Harris County Board of Ed Trustee Michael Wolfe, the silliest officeholder in Harris County. Escalation in Afghanistan, a health care reform bill lacking a public option, and another climate change bust in Copenhagen has left a lot of Obama believers stranded at the intersection of Hope and Change. PDiddie has stepped off the bus; read why at Brains and Eggs. WCNews at Eye On Williamson posts on the GOP property tax swap has fixed nothing, as most people knew back when it passed, The Texas GOP and the Texas budget. Neil at Texas Liberal said that all of us in life seek the 60 votes of hope and kindness to defeat the filibusters of despair and anger. The Senate of life is always session so that we can rustle up the needed votes.